Slightly over two years ago, I heard the words I knew would be uttered about my child. She has autism. At the time, though I knew it, I believed I could fix it. 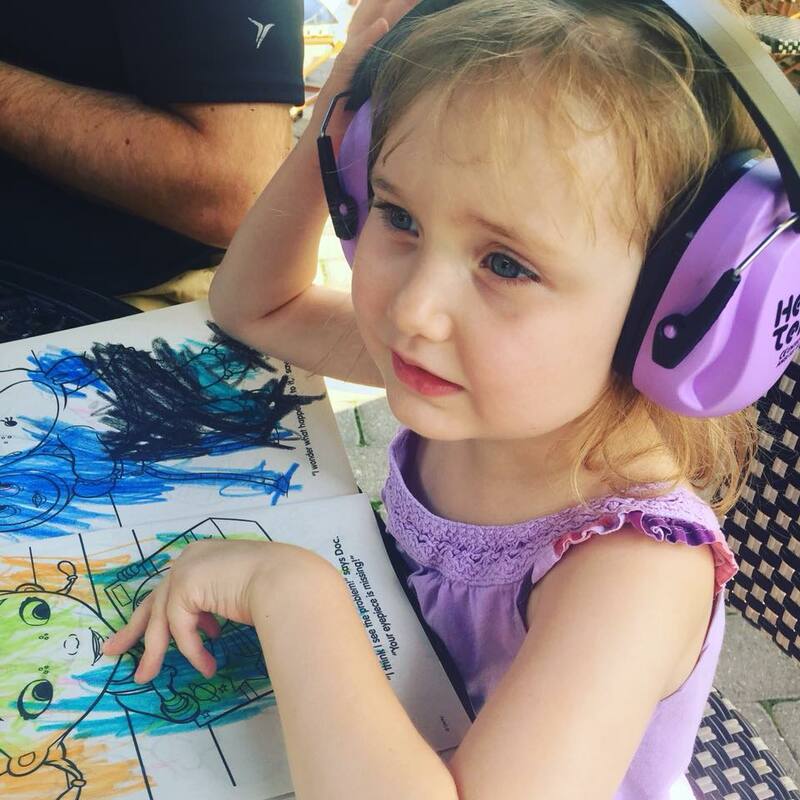 I poured my heart into books by Jenny McCarthy and insisted I would get the best training, the best therapies and the best supplements and one day, I too would be penning a book about my daughter's healing. Truly, I believed it. Since I was young, children had been my gift and I was certain all those moments, those days with difficult kids, loving kids with special needs, cheering for the underdog would certainly mean that I had the capability to fix my child. This summer however, I realized it wasn't my child who had to be fixed, but myself. This summer, I have faced some of the most difficult moments of my life. Some may say I need to be tougher, parent stronger, try all the things, do all the things, but honestly, I am tired, a word I read this morning, weary. All that being said, I am stronger. I am a better person than I was two years ago. I am more understanding, more compassionate and more able to set boundaries. My child, whom I thought I could fix, actually fixed me. Yesterday, for the first time in a long time, we went to "linner" that is my lazy way of saying, eat a big meal now kids, mom doesn't want to cook later. As we sat together, all 7 of us, I looked at my daughter, struggling with the car alarm from a car in the parking lot and gently put her headphones on her head. That simple act, that act of giving her what she needed was my light bulb moment. My entire life, until now, I did what I thought I was supposed to in order to fit in, to be liked, to be needed and wanted. Never did I find true happiness. My entire life, I struggled to do what others did because surely that made one successful and joy filled. Not often did I find that joy filling my heart yet in the past two years, when the tough days are at their worst, I see the best in myself and realize all that time, I was not who I was intended to be. I have mentioned before, I am a fairly faith filled person, my life has been filled with church and prayer but only since I have truly become a mother has that faith and that ability to witness His plans for me been truly recognized. Faith isn't found in a church or in a building, faith is found when you trust His plan for you is the plan that will lead you closer to Heaven. Reality is, I won't ever "fix" this child. Autism will always be a part of her life. She never needed to be fixed. I did. I needed to realize that her living with extra needs, extra struggles and extra suffering allows me to be witness to life that is better, life that is different, life that is truly worth living. Reality is, I will never fit in, perhaps I was never supposed to fit in and these bumps in the journey of my life are what God was using to give me more, to call me to be more, to ask me to give more. Recently, I posed a question on my Facebook page, Behind the Face of Autism. I asked followers to tell me what autism looked like to them. I wondered. What did they see? Was our journey the only one that allowed them to take a sneak peek into this very challenging life? How did they see my child, her extra needs, her disabilities? One poster wrote "It looks like a really challenging form of grace". Perhaps that is why we were chosen for this journey because I certainly would have preferred the easy road, the one more frequently traveled, the one where you fit in and fit the mold but perhaps we were called to walk this path, to share with others, to give to others, to be here for others. If you or someone you know is in the beginning of this journey, reach out because it was said perfectly, when you get through the mourning, when you arrive at the point when you realize that this is your journey and you cannot change it, reality is that this life is a really challenging form of grace. Was She Born With That? It was September. It was hot. Really hot. She was late and we didn't know if it was a "she" or "he" that would complete our family. When I found out I was expecting (unexpectedly), I did everything and anything in my power to keep this pregnancy healthy as I had the five previous times I found myself pregnant. Vitamins. Extra rest. Increased fluid intake. I stayed away from lunch meat, we didn't own a cat and I made sure that when kids were diagnosed with illnesses that disrupt typical development that I steered clear. Her pregnancy was like the others, sure there was a partial previa but that was the ONLY difference between her pregnancy and the ones that I had before. Her delivery was quick. Really quick. Though I had labored nearly a day when we finally got to the hospital she arrived before nurses entered me into the computer. She was perfect. Like her siblings, she developed typically. She rolled as she was supposed to, she crawled within a typical time frame and in true little sibling fashion, she was carted around like the newest favorite doll. Life was perfect. Five children. Healthy. Typical. Until it wasn't. I still remember when it changed. I can picture it. I struggle to put it into words but for our family, I know when she changed. I clearly remember a feeling of being unsettled the day I strapped her into her car seat for her well visit. Her brother and I took off for the pediatrician we have seen for years. As I drove, I prayed. I don't know why. I don't usually pray before well visits or vaccines. Now, the disclaimer: I personally do not believe that a vaccine itself causes autism. I don't believe that they should be banned our outlawed but I will tell you our story. As we drove that day I felt sick. I replayed our "perfect" family in my head and hesitated as I signed the waiver for her to receive her vaccines. Then it happened. As we drove home, my son, recently forward facing mentioned that "they baby looks funny". I pulled over before we even got home and saw what no mother ever wants to see. Hives. At the site of the vaccine but not a typical hive, a HUGE hive, as if she was having a severe reaction. I quickly dialed the doctor who immediately said to administer Benadryl. As I drove to pick it up and listened carefully to the amount to give, I wondered, was this the hesitation I had? By nightfall, the hives had spread. She had a fever and I sat in our small bathroom running a bath watching as hives crept up her body. Again, I called. The doctor told me to call the emergency pediatrician at St. Peter's. I did. We conversed and I tried to help her with a cool bath. I cradled her in my arms and once again administered Benadryl and followed up with the allergist first thing in the morning. Luckily he saw us. That day. Little love had vials of blood drawn while still being given Benadryl for days. Within a week, I saw it. She changed. She no longer turned her head when I called her name. She was typical, physically but she was different than she was the week prior. Again, I am not physician, scientist or medical professional but I personally believe my youngest daughter had a genetic predisposition that was influenced by an environmental factor, for her, that factor was the vaccine. This is in no way any one else's story. This is not to dissuade vaccination for children on the whole. All my children are vaccinated, and continue to be, however because of her reaction she will no longer have her MMR. We were blessed. We still are but now our blessings have a different tone, they aren't the ones that take on the typical family pictures that one dreams of when they fall in love and meet their spouse. Often, when I have difficult days I cue up Laura Story's song, Blessings. I belt out her words or sob on the floor as I wonder if the child she was would be the child she is without that vaccine. Often, I fault myself. I suffer with the guilt that I signed that paper that changed her. Forever. That said, there are blessings because of our journey. Those who knew me before can tell you how I have become more understanding, compassionate, empathetic and for that, I am grateful. I have always hesitated to share this truth, our truth because you see, there is so much controversy. However, the other day while at the library with my four youngest, a mom and I began to chat. As we did she asked if Seraphina was born with autism. I was grateful. Instead of carefully tiptoeing around the obvious fact my child was different, this woman had the courage to ask what others often wonder. Is she different? Has she always been different? What a breath of fresh air. For me, I would rather people ask than stare, wonder or in some instances scoff at the struggles that we face because of the disability that sometimes makes life difficult to live. Her intent to listen and to learn was a deep breath of fresh air that released the story that I held quietly in the depths of my soul. The visions of the day of her vaccine rose within my mind, and as I spoke the words, sweet relief. This is our story. No, our sweet baby was not born with this disability. It arose after an environmental factor was placed upon her. Do I believe that all vaccines are bad? No. Do I believe that children shouldn't be vaccinated? No. I do however believe in sharing our story that perhaps others won't feel alone, perhaps others won't suffer as I have, maybe I will no longer feel the intense guilt that I have for introducing the factor that changed my child. Perhaps that won't be the case, but within a week, the child I gave birth to on that blistering hot day changed and with that change, we all changed. We are all impacted and though it includes pain and suffering, it also includes the opportunity to be better people for living with and knowing the blessing that is our daughter. In case its not apparent, this life of mine has had some bumps and bruises. It started at birth. No joke. I won't take you into the long drawn out details but know, my path to where I am today was riddled with ups and downs that I felt were enough for a lifetime. During the time when I was at my worst, my weakest, my ugliest, my mom and dad stood by me. Like any typical teenage daughter sadly I didn't realize the support I had in my corner. There it stood, one shadow taller than the rest and willing to give it to me in its entirety. So many had given up on me but there he was, willing to stand by and always telling everyone, I would make it and be okay. Strong. Stoic. Present. He worked to support our family in so many ways that I never understood until now, I watch as I am married to a man trying to give the same to my children. When Seraphina was diagnosed, he was there. He didn't agree with the severity of her diagnosis, and like my mom he suffered and hurt in his own way watching us sit with the weight of the world on our shoulders. A child. A disabled child. One that we didn't know the future of or where to begin getting help, he was there. He listened as I cried. He picked me up (with my mom) when I fell and told me to buck up when I didn't think this path was fair or the one for me...though he agrees, its not fair...but is life? This past week we spent time with my parents. My mom and dad, giving me the break I didn't know I needed after a month of being trapped in a world that parents of kiddos with special needs live--ESY--school, nearly year round. While visiting, my dad told me it was time to "protect my writing". Really, I write not just for me but with hopes that we can one day not just have awareness but acceptance of kids with different conditions, neurological and otherwise but after a bit of a day, I listened. Fearful that I would fail, I decided, if he believed it was worth at least giving it a try. Like any proud father, he thinks my writing is worth more than it probably is but still, this writing may be worth it to one mom, to one dad, to one child. Perhaps this writing will remind that paraprofessional struggling to stay with their student that they are needed, they are part of the team, they are key to the future. Perhaps this will reach an adult who lives with autism and allow them to know how much a parent will give, from the moment of life until the moment of a parents death, willing to give what they have and then try to give more. So fearing failure, judgement and ridicule, I decided to do it anyway, because my dad believes in me--again and he always has and when my dad bets on something, usually its a safe bet. This week, I listened to my father. I purchased my domain (with his help--er force). I decided to move my personal Facebook Group to a public page that would follow this journey, the good, the bad, the ugly and hopefully one day the success that all parents dream their child have (more on my dreams for my kids later). Once upon a time, it was hard to see that Seraphina was different from her peers. It was actually one of the reasons I had trouble discerning IF in fact she did have a disability but my mom gut told me and by 19 months, there was no denying it. I saw it first. I compared her when we were at the park, I watched when she played with others and tried to tell myself when she played parallel she wasn't behind, just choosing her own place and her own time because she was the youngest of five. Again, by 19 months, I was certain I was lying to myself but how would I get others to see? I still remember the first time my husband saw it. We had some friends for dinner, their daughter, a year older was far more verbal, interactive and interested in the world around her. Our friends left and he sat, I cleaned the kitchen and looked into his eyes, withdrawn and deeply troubled. I knew. He saw it. He saw what I had for two years and the pain I had been carrying was no longer mine alone, but shared, with her father. Time has passed, I have watched the children born when she was pass her, fly by, I have witnessed the moments they went to preschool, with typical kids and shared the birthday parties, mother's day teas and the ever important preschool graduation. I have watched as my friends children, born well after her began to meet the milestones I had held on to for her and watched as they too passed her. I am grateful for those friends, knowing my sadness and pain, celebrating their own joys but still standing by me when we finally reached our own milestones. Most days, I don't see "the gap". I don't witness it because I see her, who she is and the journey she is on. I see her for the person she struggles to be each day and I see her with her peers, the ones I have come to know, come to love and come to honor and respect for their journey and their milestones but every once in a while that ugly gap sneaks up once again. Today was one of those days. Our library recently moved a couple towns away. It boasted an amazing atmosphere with a beautiful children's section complete with amazing play areas for children. After a week away and lots of fun, I knew I had to ease back into life with a few surprises to keep her spirit soaring. We packed up and drove to the beautiful facility. It was nothing short of what they promised. I watched as we arrived, trying not to hover but still carefully keeping an eye on my little one. She tried to engage. She tried to play, the way she knew how but within a few moments, I watched as her little mind went to work, sorting, planning and moving. She tried. I watched as other kids, they giggled as they took fruits and veggies out of her hands. I watched as they climbed the shelves and she considered the same. I watched as she tried to take toys back and sort them into the correct colored baskets. Part of me was amazed. I was amazed at her tenacity as this went on for 57 minutes before we were finally hushed by the librarian and left. I watched as she continued ahead. I also watched as I longed for her to play with the other little girl her age. Her mom and I talked the entire time and I enjoyed her company. I reminisced about my other kids and their instant ability to play with any child, anywhere and I longed for her to have that same experience. The gap is growing. The child that used to parallel play is now lining up. She has an imagination but allowing others in is difficult. I know I am honored to watch my friends children grow and I know they too are honored to watch Seraphina reach her milestones but as the gap grows, I see our paths though parallel are growing apart and my heart hurts just a little. To the mom whose child is behind, its okay to feel sad and YES its important to celebrate those little victories. To the mom whose child was born at the same time as your friends whose child may not reach the same milestones, we want to witness your children's growth and milestones as well. Life isn't easy, there may always be a gap but if you catch me watching wistfully, looking a little sad, I might be, for a moment but then I will realize how lucky I am to watch my own child blossom in her own time.